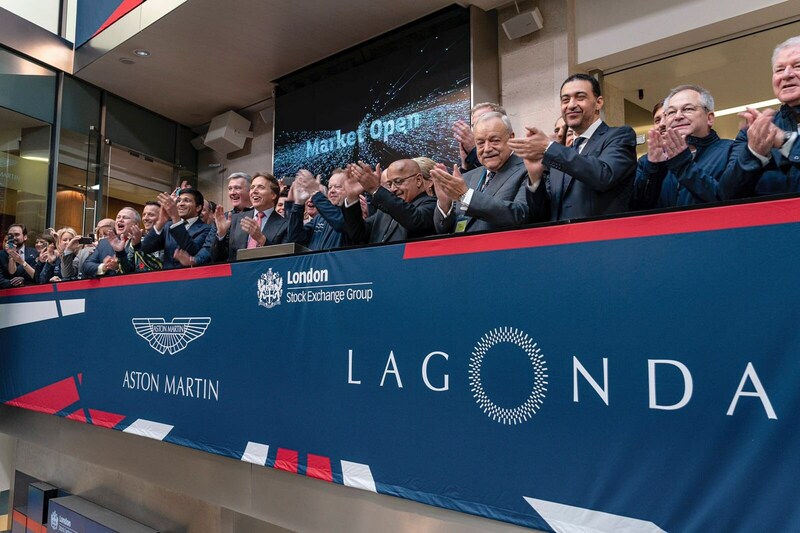 After a few months of rumours, Aston Martin finally floated on the London Stock Exchange today. Although shares of the company actually fell by 5% at one point, the move will raise at least £1billion for the firm, and propel its next stage of expansion. Alongside the new Valkyrie (pictured below) and Valkyrie AMR Pro hypercar, a new DBX SUV is also expected. Essentially, there’ll be a new model every year from 2018 to 2022. Shares were initially priced at £19-a-piece for a total £4.3billion estimate for the entire company, but during the course of trading that fell to £17.75. According to the BBC, trading is currently conditional and limited, as Aston is a new listing. Under current boss Andy Palmer, Aston has seen huge growth in markets around the world and returned a profit in recent years, with Q1 of 2018 seeing £43.7m in earnings before tax and pre-tax profits of £2.8m. A growing list of new models like the all-new Vantage, bespoke Zagato models and DB11 are the main cause of Aston’s increasing revenues. More growth is expected, given the recent arrival of the new DBS Superleggera flagship, development of the all-electric Lagonda brand in coming years and investment in a new manufacturing plant in Wales.